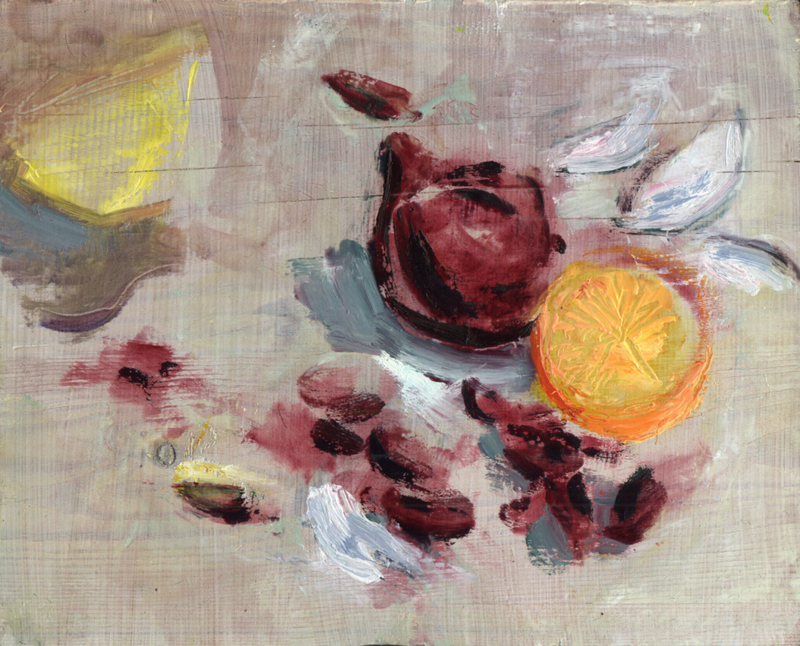 a question of materiality and tradition – Helena Hildur W.
Again, I have been invited to the Steiner seminar in Järna, since the third-grade students wanted to do oil painting. Historically, making paint using different kinds of oils is said to be developed from tempera techniques at a time when painters were occupied with the problem of representing three-dimensional space upon the two-dimensional plane – parallell to the construction of linear perspective. It came to predominate in European and North American art into modern times; actually, even as a part of modernity… the word modern, by the way, first appearing in English language in 1585 (according to Merriam-Webster dictionary). At Istanbul Modern, the museum’s historical survey takes as its starting point the first oil-on-canvas portrait of an Ottoman sultan in the 18th century… Today, the concept modern is commonly replaced by contemporary, so as to recognize the post-modern experience. And oil painting, on the art scene, seems mostly a ‘retro-garde’ concern. Consequently, I ask myself: how come young persons ask for guidance in the technique of oil painting today? How could I respond to this? I couldn’t. I had to change it into a question of materiality, and of tradition. There is more to this. Go deeper. ps. And what did the students do? First week, their exercise was to copy a painting; choices ranged from William Turner to Swedish painters Vera Nilsson, Anders Zorn and Ivan Agueli. Second week, their palette was limited to only one colour (for instance, the different reds), together with white and palette medium. Extremely traditional, material too… The students, as usual, took on their task with the kind of seriousness which is very close to joy. What more could I ask for? Again, thank you all.